We’re proud to support Spadework, a charity which provides life skills training and employment opportunities for young people with learning disabilities and other disabilities in Kent. 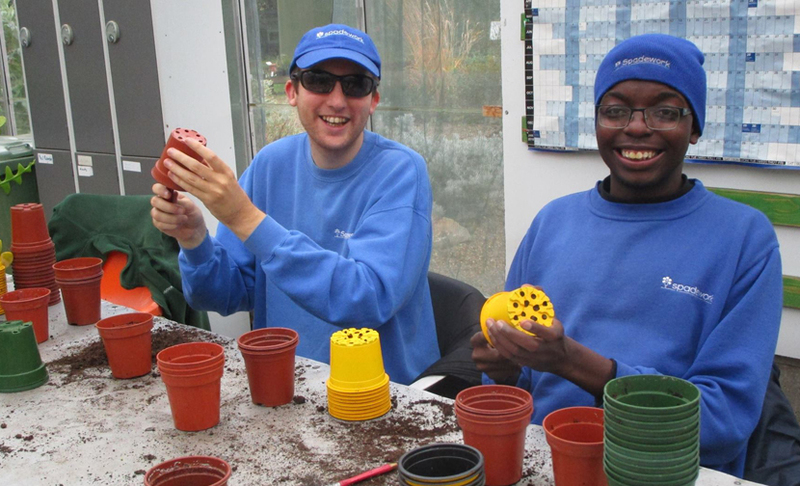 Spadework hosts a unique 7-acre site and provides work experience in horticulture, gardening, woodwork, arts and crafts and much more, enabling young people to develop transferable skills and build their independence. Spadework helps trainees like John, who has autism and limited verbal skills. John joined Spadework when he was 18 years old and at the time he often experienced high levels of anxiety in large groups and required one-to-one support from a personal assistant. After five years of tailored care, John is able to shine in a group setting, take on lots more responsibility and has found a love for horticulture work. It’s thanks to Spadework, that John can better express himself, access new opportunities and achieve many fantastic results. We’re excited to support Spadework’s new community programme, which will see the charity working with local schools. Trainees like John will provide lessons to school children about the great outdoors, including how to create eco gardens and how to grow and crop fruit and vegetables.